Advances in the Assessment of Dietary Intake. Diet is a major factor in health and disease. Controlled, long-term studies in humans are impractical, and investigators have utilized long-term epidemiological investigations to study the contributions of diet to the human condition. Such studies, while valuable, have often been limited by contradictory findings; a limitation secondary to systematic errors in traditional self-reported dietary assessment tools that limit the percentage of variances in diseases explained by diet. New approaches are available to help overcome these limitations, and Advances in the Assessment of Dietary Intake is focused on these advances in an effort to provide more accurate dietary data to understand human health. 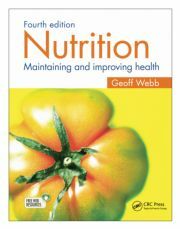 Chapters cover the benefits and limitations of traditional self-report tools; strategies for improving the validity of dietary recall and food recording methods; objective methods to assess food and nutrient intake; assessment of timing and meal patterns using glucose sensors; and physical activity patterns using validated accelerometers. 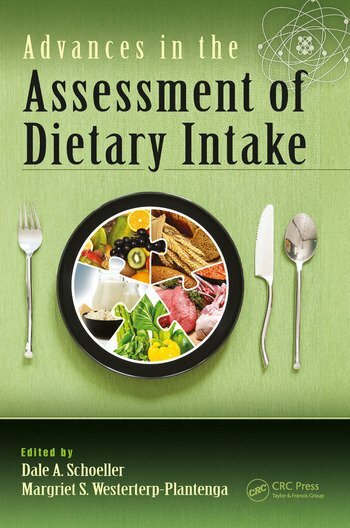 Advances in the Assessment of Dietary Intake describes new avenues to investigate the role of diet in human health and serves as the most up-to-date reference and teaching tool for these methods that will improve the accuracy of dietary assessment and lay the ground work for future studies. Current Human Research Questions being addressed through Laboratory and Free-Living Dietary Methods. Advantages and Limitations of Laboratory Methods. Advantages and Limitations of Traditional Free-Living Methods. Statistical Approaches to Adjust for Bias of Traditional Recall and Diary Methods. Computer Assisted Dietary Recall Methods. Dietary Energy Intake Models to Assess Energy Intake. Dietary Biomarkers. Isotopic Biomarkers. Photographic Diet Diaries. Chewing and Swallowing Sensors to Detect Eating Events. Compendium of Novel Electronic Monitoring Devices being Investigated to Assess Dietary Intake. Dr. Dale A. Schoeller is a director of the Isotope Ratio Laboratory in the Biotechnology Center and is the professor emeritus in Nutritional Sciences and the University of Wisconsin-Madison, Madison, Wisconsin. He was the first investigator to use the doubly labeled water method to measure total energy expenditure in humans, which led to the observation that self-reported dietary assessment instruments systematically underestimated dietary energy intake compared to the amount of energy that individuals were actually expending. This work by him and many others resulted in paradigm shift in validating and modeling the error structure in dietary assessment instruments. 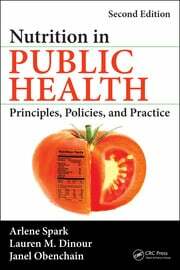 More recently, he collaborated with leading nutrition epidemiologists to use the doubly labeled water method as a biomarker of habitual energy intake to quantify systematic errors in dietary energy intake instruments forming the basis of his work that resulted in this book. He earned his undergraduate degree from the University of Wisconsin-Milwaukee, Milwaukee, Wisconsin and his PhD in Chemistry from Indiana University, Bloomington, Indiana. He was trained as a post-doctoral fellow in Biomedical Sciences at the Argonne National Laboratory, Lemont, Illinois and joined the faculty of Medicine at the University of Chicago (Illinois, Chicago), where he directed the Stable Isotope Core Laboratory as part of the Clinical Nutrition Research Unit. For the last 20 years, he continued his research on the energetics of obesity at the University of Wisconsin-Madison. His research has been recognized through multiple awards including the Herman Award for Clinical Research from the American Society for Clinical Nutrition, the O.W. Atwater Award for Research from Agricultural Research Service, and the Friends of Mickey Stunkard Lifetime Achievement Award from the Obesity Society. Dr. Margriet S. Westerterp-Plantenga is a professor of Food Intake Regulation in Humans, at Maastricht University Faculty of Health, Medicine and Life Sciences, School of Nutrim, Department of Human Biology, Maastricht, the Netherlands. In her productive career in human research, she has focused on the mechanisms of energy and reward homeostasis. This has involved diverse research on satiety and the role of orexigenic and anorexigenic hormones and glucose; the physiology of dietinduced thermogenesis and body-temperature regulation; circadian rhythm and sleep; and energy balance, macronutrient balance, and substrate oxidation. These studies have made major contributions to the understanding of food reward and related brain-signaling pathways and have done so with a strong perspective in their roles in the regulation of body weight and body composition. She earned her undergraduate degree in Biology from the University of Groningen, Groningen, the Netherlands and her PhD degree in Biomedical Sciences from Maastricht University. She was a member of the Faculty Board of the Faculty of Health Sciences at Maastricht University and was responsible for the Research portfolio. She is currently an associate editor of the International Journal of Obesity and a member of the Editorial Board of Physiology and Behavior. She has been a project leader at the Leading Technological Institute of Food and Nutrition in the Netherlands and one of the leaders of several European projects, such as Diogenes, Full4Health, and at present PREVIEW. She has published about 240 papers in internationally peer-reviewed journals and authored and edited several books on food intake and energy expenditure.